In its own ultimate class, the Catit® Design Cabrio Multi-Functional Carrier System for cats, toy breed dogs and other pets combines superior safety features with ease of use for five-star pet accommodations on the go. Meeting airline regulations, the Catit® Design Cabrio is the perfect choice for your air travel needs*. For added security, the Catit® Design Cabrio can be secured in your vehicle with a conventional seatbelt. Meeting airline regulations*, your pet can go where you go. *Note: Please check with your airline for their individual requirements first as they can vary. The Catit Cabrio meets IATA guidelines. 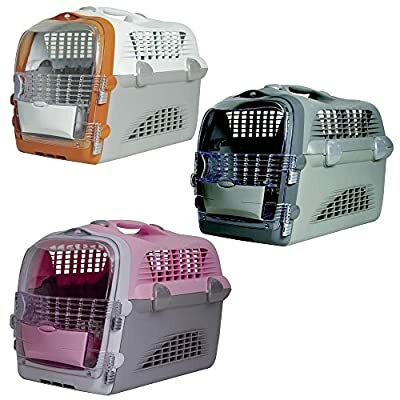 Suitable for pets up to 11.3 kg (25 lb) in weight and 35 cm (13.75”) in height. The Catit® Design Cabrio comes with a five-year limited warranty.